If you would like to direct your donation to one of the specific funds we have listed below, please note your preference on the check memo. Otherwise, your donation will be used by the DVC in the area of greatest need. We will use your donation where we feel it is most needed. Contribute to secure and sustain the long-term future of our efforts in the Death Valley region. Used to preserve and restore Ryan Camp. Contribute to secure and sustain the long-term future for Ryan Camp’s preservation and needs. Restricted to Death Valley National Park requested projects. Used to support research of the endangered Devils Hole Pupfish within the park. Supporting preservation and interpretation projects specific to the National Park Service-owned Scotty’s Castle (aka “Death Valley Ranch”) and “Lower Vine Ranch” compounds. We are currently working with the NPS to restore the exterior “Wishing Well” fountain! 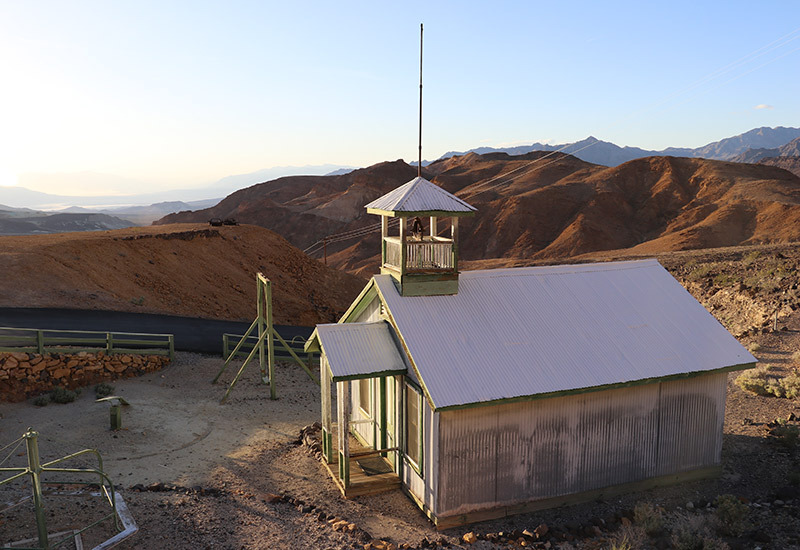 Supporting the stewardship, preservation and interpretation of sites and artifacts relating to the operations and history of the “Pacific Coast Borax Company” (and its successor organizations) associated with the Death Valley region. The fund has been used to create, maintain, and interpret the full-scale, working reproductions of the famous Death Valley 20-Mule Team Wagons. Supporting Park projects within the DVNP boundaries, with a special emphasis on projects which reflect Mrs. Buffett’s interests and values in wildlife, habitat and Native American cultural resources.